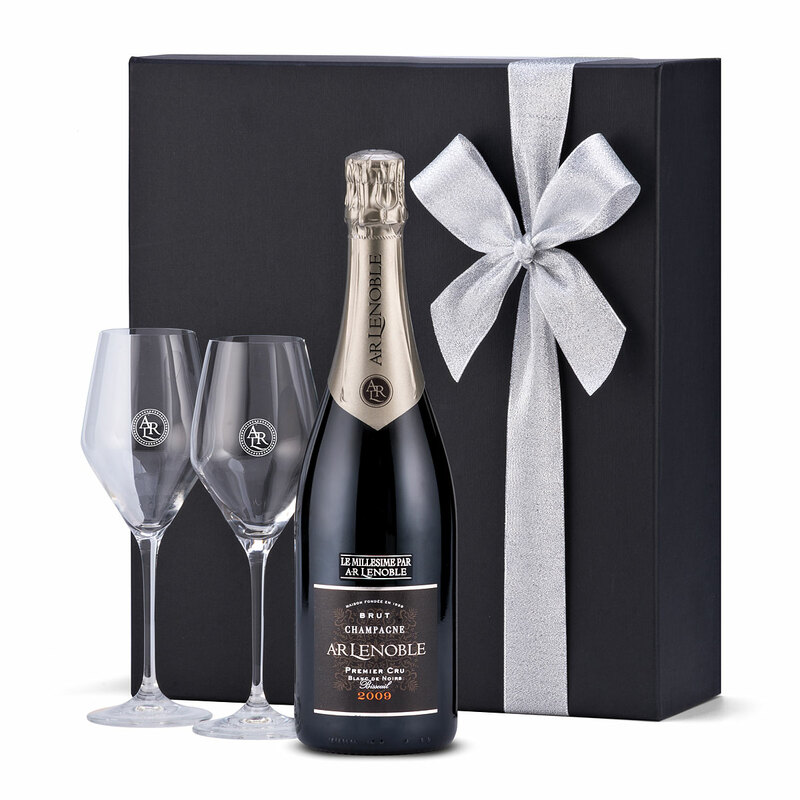 Celebrate life's joyful occasions with this beautiful French Champagne gift set. A sophisticated bottle of Champagne Lenoble Premier Cru Blanc de Noirs is presented in a luxury black gift box with a pair of signature glasses. 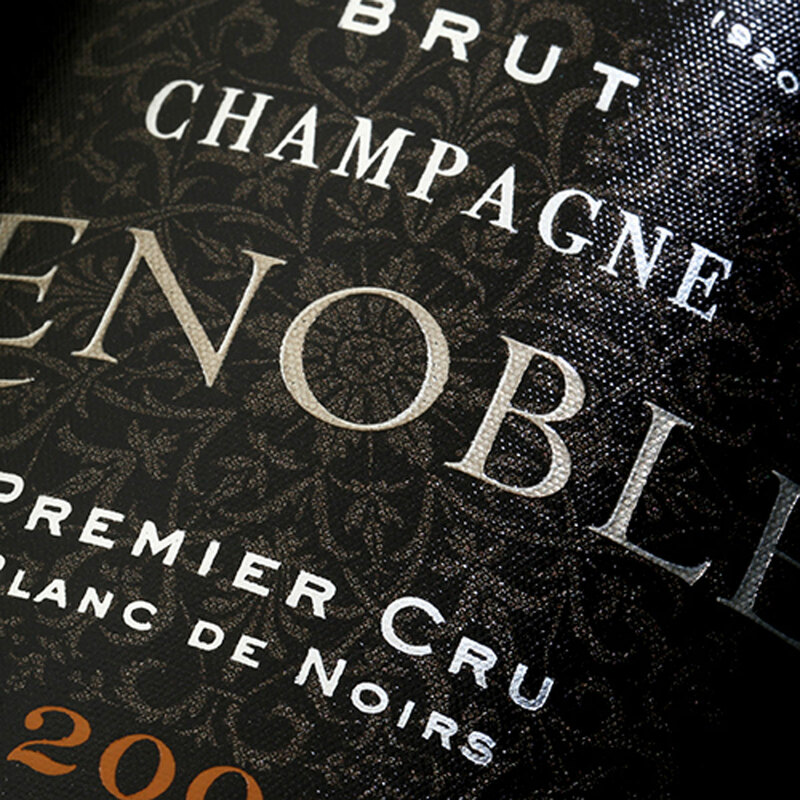 Premier Cru Blanc de Noirs Bisseuil Vintage 2009 is a fruity, fresh Champagne with aromas of spice and lemon blossoms, created to be distinctive, rich, and opulent. 100% Pinot Noir from the Premier Cru village of Bisseuil. Pairs well with poultry, mushroom risotto, and aged cheddar.